Deploy deep learning solutions in production with ease using TensorFlow. You'll also develop the mathematical understanding and intuition required to invent new deep learning architectures and solutions on your own. Pro Deep Learning with TensorFlow provides practical, hands-on expertise so you can learn deep learning from scratch and deploy meaningful deep learning solutions. 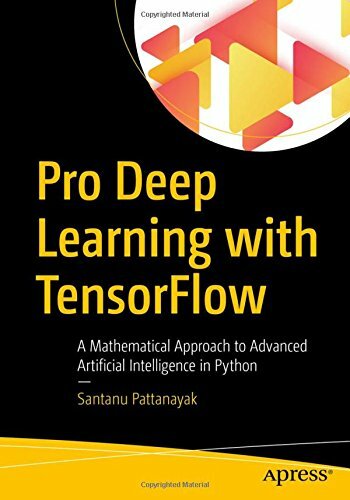 This book will allow you to get up to speed quickly using TensorFlow and to optimize different deep learning architectures. All of the practical aspects of deep learning that are relevant in any industry are emphasized in this book. You will be able to use the prototypes demonstrated to build new deep learning applications. The code presented in the book is available in the form of iPython notebooks and scripts which allow you to try out examples and extend them in interesting ways. You will be equipped with the mathematical foundation and scientific knowledge to pursue research in this field and give back to the community.